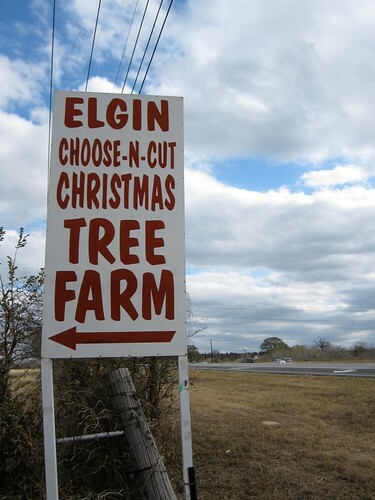 Just outside of Austin, TX is a town called Elgin, which is most famous for Meyer’s Elgin Sausage and the Elgin Christmas Tree Farm. 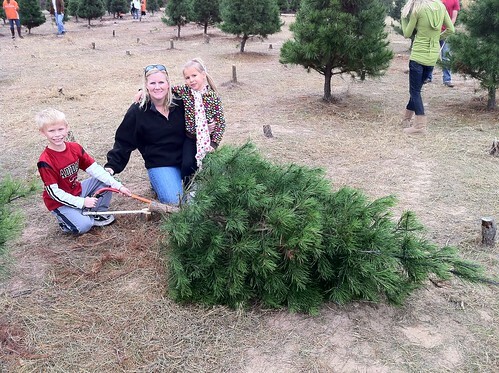 Every year that we’ve lived in Austin and had children, Ben and I have tried to head down to the Elgin Christmas Tree Farm to cut down our very own Christmas tree! If you blink you may miss the Tree Farm all together. It’s off a small road just outside Elgin. 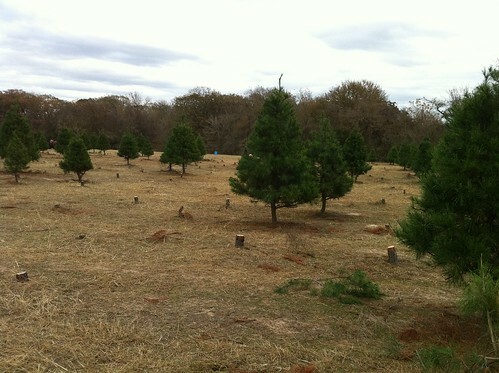 The place is always packed with other families from all over the Hill Country trying to find their perfect tree. 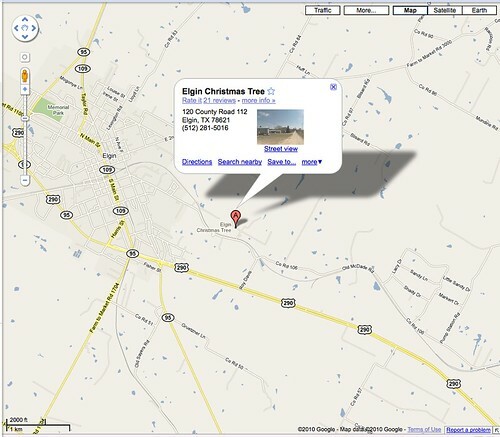 Last weekend we took the kids and went on a road trip to Elgin to find our perfect Christmas Tree! 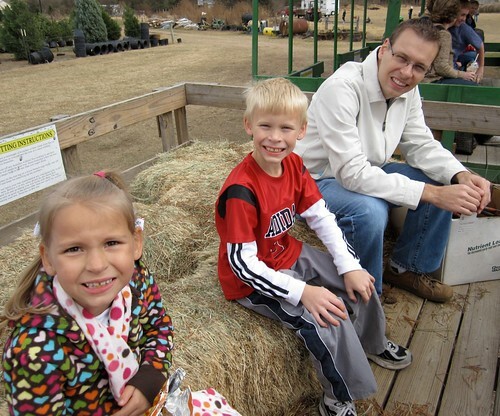 Like every year, the Tree Farm does not disappoint! Once we finished enjoying all the FREE festivities, it was time to cut down our tree! 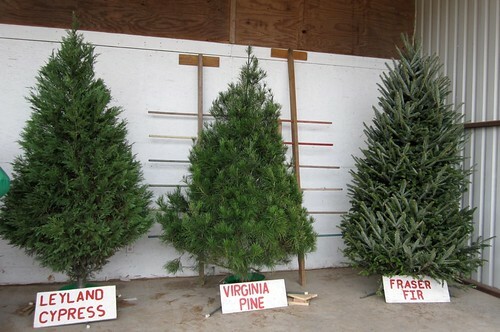 They offer three different kinds of trees to choose from. 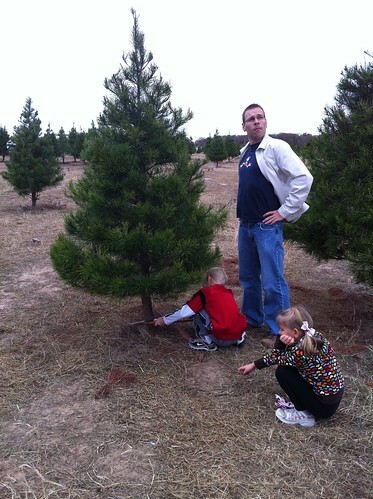 We ended up going with the Virginia Pine. 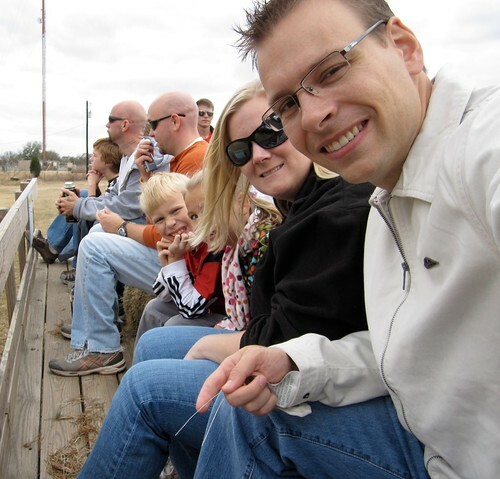 To get to the trees you get to take a fun bumpy hay ride! When you reach your destination, they drop you off with a saw and let you run wild. 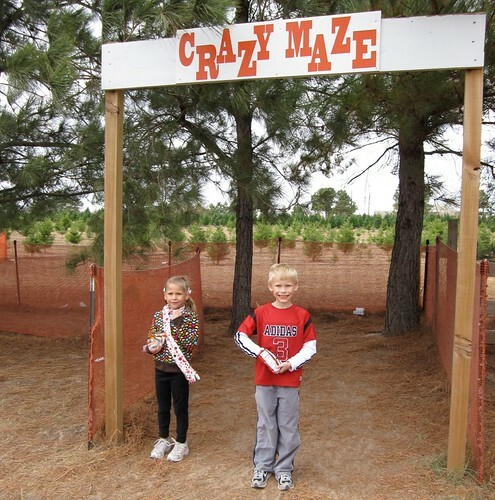 The kids love this part because they get to be free little birds as they run around scoping out the hundreds and hundreds of trees. 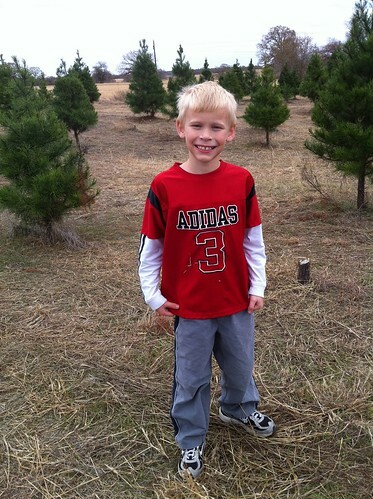 Travis is so excited to try to find the perfect tree. 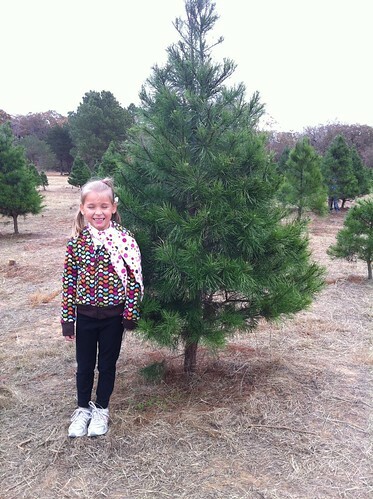 Kinsey finds our perfect tree after a good 30-45 minutes of sizing up dozens and dozens of trees. 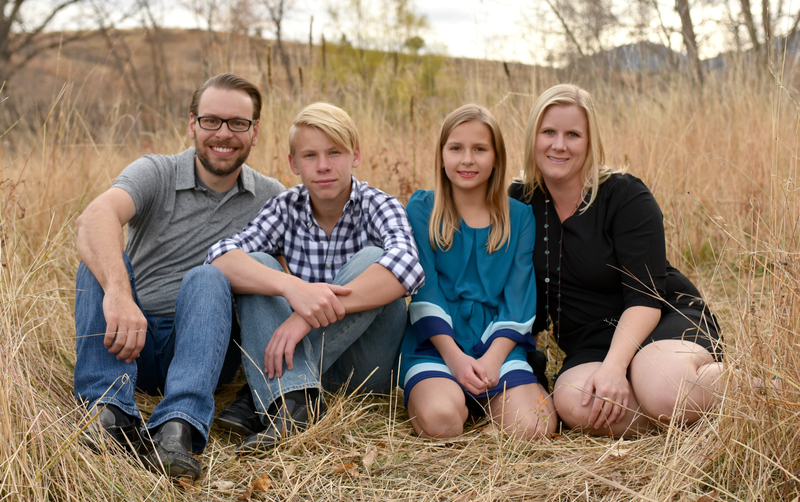 Travis is such an independent kid and thrives on additional responsibility. It made his day that we let him use the saw. 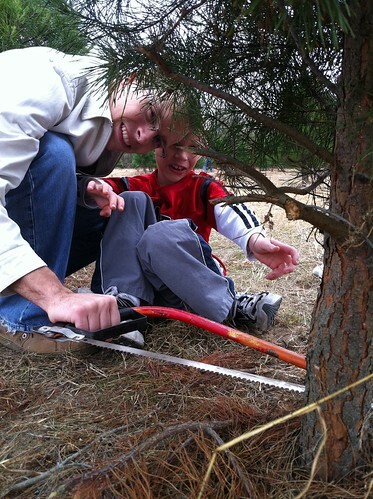 But he quickly realized it’s harder than it looks to cut down a tree, so Ben took over and finished the job. At this point the camera batter died (my bad!) and it started getting dark. 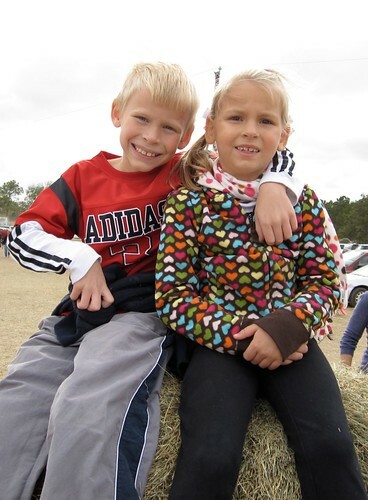 We loaded the tree back on the tractor trailer hay ride, paid for it ($40), stuffed it in our SUV, and headed home. We all decorated it as a family the day after, and I’ll show you those pictures tomorrow! 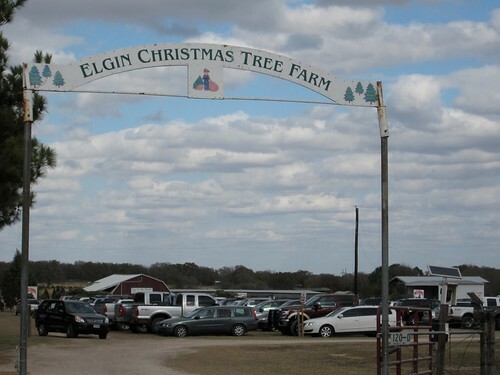 If you live in the Austin area, the Elgin Christmas Tree Farm is such a fun family tradition that our kids really look forward to. For more information you can visit their Facebook fan page or visit them at 120 Nature’s Way off Roy Davis Road, Elgin, TX, 78621. I do miss the picking out of the tree. But I am allergic. If I get too close the hives start & then I can’t breath. 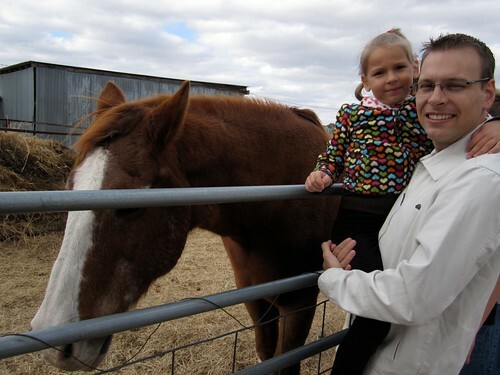 Thanks for sharing your photos! Looks like all of you had a wonderful time. 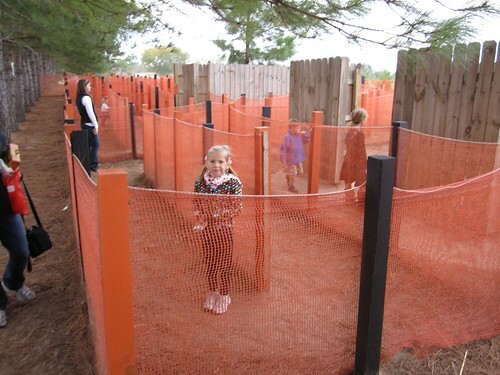 Aww, that looks like so much fun! 🙂 What great family memories, too. @Beth – I am allergic, too! Growing up I always wondered why I would get horribly sick at Christmastime… now I know. 🙂 Poor hubby, it’s artificial Christmas trees now for the rest of his life, haha!